Randers, 10 September 2010: On Wednesday 8 September 2010, a blade piece detached from Vestas’ V112-3.0 MW prototype wind turbine located in Lem, Denmark. Vestas confirms that this manually produced prototype blade – one of the first three blades manufactured for the V112-3.0 MW prototype programme – according to general procedure has not been subjected to Vestas’ normal verification and reliability testing program. Based on this incident, in the future, Vestas will, however, ensure that prototype quality meets higher demands than those applied for this prototype production. Manually produced prototypes will, however, always involve a significant higher risk of failure than by automated production processes. Vestas’ specialists and forensic experts have analysed the root cause and their preliminary and unambiguous conclusion is that this is a stand-alone manufacturing mistake caused by a human error during the manual production process of the blade. Among other things, this is clearly seen from the way the blade has broken. To make sure there is no doubt about the root cause, the management of Vestas Technology R&D has decided that Vestas’ internal investigation will be followed up by a third party, external, expert investigation. Furthermore, the result of this investigation will also be communicated to the stock exchange as soon as it is concluded. This message came on my screen. 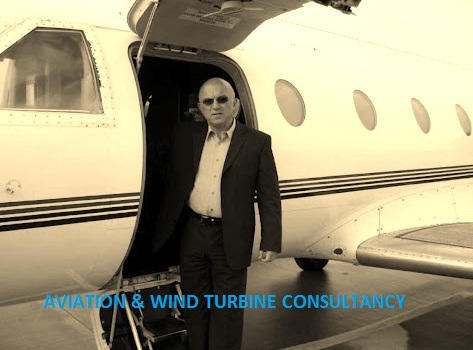 In forty years of my professional life dealing with design, production and root cause analysis of aircraft wing and wind turbine blade failures, bewildering procedures within the blade production business have seemed to occur. I do not understand the fuss expressed in the above announcement. Before series production of blades can be started, the airworthiness of the prototype must be certified. This is the basic idea of a prototype. Prototypes are built to pass static and dynamic design loading in a test bed. This is to verify the documented evidence of conformity with theoretical calculations. Manually produced prototypes are different from samples produced by automated production processes. This raises the question of how you can prove a manually produced prototype to have the same properties as the series units. Prototypes can not, by definition, be produced in a different production technology to series samples. A manually produced prototype cannot achieve certification status of an automated production. Instead we must talk about pre-series blades, as real series production must be based on positively passed certification tests. Series production process, as I stated, must be identical to prototype production process to guarantee identical properties. Later on routine tests have to prove each series blade to comply with its archetype (prototype). That sounds formal but it is essential for ensuring the quality system. But let us focus on the crux of the matter not mentioned in Vestas’ announcement. Principally blade production has been managed in a manually orientated fabrication process for validated reasons. The fibre fabric material used to build blades is somewhat unsuitable for total robotic handling processes. Filament winding, tape laying and pick-and-place handling techniques with pre-impregnated material collect dust in laboratory playgrounds and never had real series merit. So I read between the lines. The intended automatic blade production process is fundamentally not in place. Development of automatic production system has not yet reached a satisfactory performance, thus unable to have its status frozen. This status is necessary in order for real prototype production to proceed. This is the gist of the matter.